Along with here at 2x3 Heroes, I post about cards over at A Pack To Be Named Later. If you have viewed any of my recent posts there, a common statement is "man, I have a lot in my scanned folder". Which I do. I still have 40 packs scanned for the site, from pack wars and repacks. The same is true here - I got a lot of cards scanned, sent to me by you kind readers. It's important I let you all know my gratitude of the fine rectangles sent. I hope the five people from today don't mind sharing thanks with their blogging partners. For starters, Thorzul from Thorzul Will Rule, ran a recent giveaway called "trade me anything". I'm in on that when I can get a couple cards like these. No way I would ever pull that Pauly, so now I don't have to. 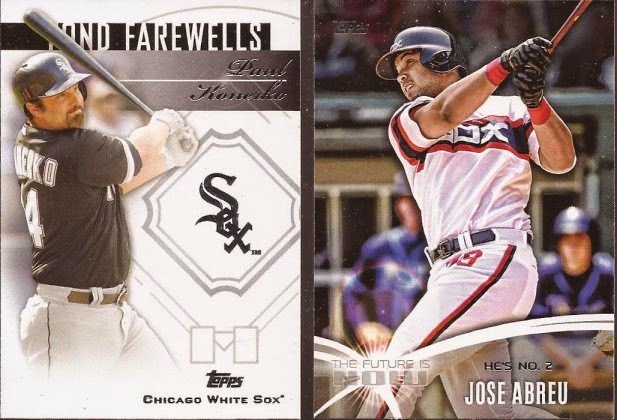 And the Abreu went to the throwback binder. Thanks Thorzul. Non-blogger Steve (who took part in TTS2) dropped a small envelope on me. 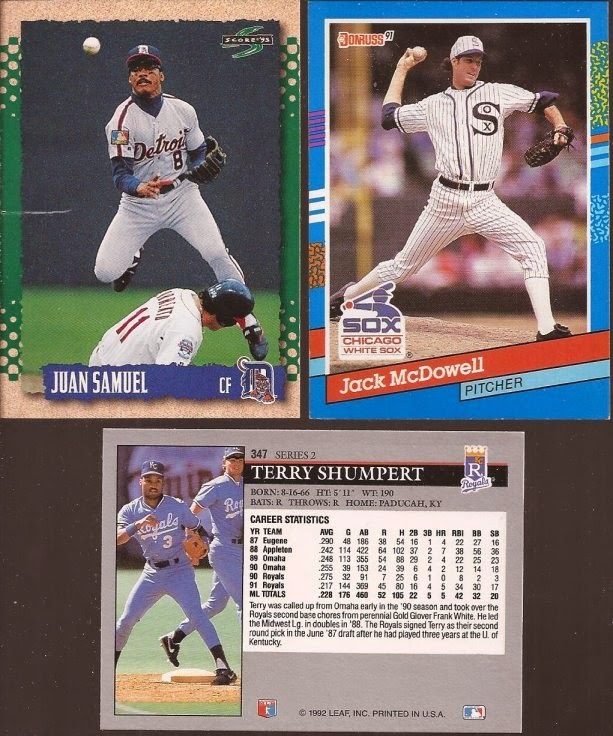 A couple nice double play cards I needed (great photo on the Shumpert), and some junk wax Black Jack. Not any junk wax, though, as Steve pointed out this was the error card. The back shows his career games as 30 instead of 63. Thanks Steve! Ryan who posts at O' No! Another Orioles Blog, was giving away stacks of cards that did not fit in his collection. He had a great selection, and I decided on just one stack. 61 cards from a set I really went to put together, 2008 UD Goudey. This stack pushed me about halfway through the set, and luckily very few doubles. Ryan, I'm working on a return package for you. Thanks man. Ya know what you hardly find in the blog world? Dodger bloggers. Really, there are SOOOOO few of them. Strange. Anyway, one of the very few out there is Jim from GCRL. He helped me out with a couple of my collections. Some great bunting shots there. And a nice ChiSox for the box with a dive into 3rd. Appreciate the love, Jim. Last, but by no means lest, is Chris from Nacho Grande. If you don't like his breaks, you have to love his current "Better Know a Blogger" series. Chris shot me over a few cards shortly after cards he sent from a box break. I miss Foulke. He had a quirky delivery and was a great setup man. If someone ever asks "hey, what where cards like in the late 90's", I would just have to pull out that Durham. The manufacturers were on a lot of acid back then. Thanks Chris. Another group "thanks" to all of you for the cards.